This was originally shared on Patrick’s LinkedIn. Earlier today, U.S. Attorney General Jeff Sessions officially rescinded the federal cannabis guidance outlined in the Cole Memo. For those who don’t know, the Cole Memo basically states that as long as states employ effective tracking and regulatory frameworks to limit diversion and promote public safety within their state-recognized cannabis markets, then the federal government would not interfere. So now that those expectations are gone, what does it mean for the future of the cannabis industry? It’s hard to say exactly how much of an impact this will have, but it is too early to fear that this is a harbinger of doom for the young and burgeoning cannabis industry. For starters, this does not mean every state with a cannabis program is about to face a massive crackdown where the DEA is busting down door after door. According to the official Memorandum just released, this change in policy empowers U.S. Attorneys in their respective states/districts to decide how to pursue cannabis enforcement, if at all. It also encourages prosecutors to, “follow the well-established principles that govern all federal prosecutions,” regressing back to the long-standing, drug-war era enforcement practices. Thankfully, we are fortunate enough to live during a more progressive time where many U.S. Attorneys, legislators, governors, law enforcement personnel, and regulators support cannabis and the progress that this industry has made, many of whom are already speaking out against this change, including Colorado Senator, Cory Gardner, and Washington Attorney General, Bob Ferguson and Governor, Jay Inslee. However, what this does is exacerbate the unnecessary fracturing between states, their laws, and federal law in regards to cannabis enforcement expectations. Under the Cole Memo, we knew where the “bar” was and we as an industry did everything we could to make sure that bar was not only met but also exceeded when possible. BioTrack even went as far as to receive 3rd-party validation (from a former U.S. Attorney General and two deputy attorneys general, no less) that our seed-to-sale tracking systems are Cole Memo compliant, and in some areas exceed Cole Memo guidance. Given that seed-to-sale tracking directly impacts a business’ ability to be transparent about the movement and quality of cannabis, there was a clear expectation of what needed to be done to stay within the lines. Now, rather than continue with a uniform approach that all states and businesses understood, it’s like saying, “since this is a state’s rights issue, the U.S. Attorney responsible for your state/district can enforce however he/she would like,” making it a case-by-case basis at the discretion of an individual. Perhaps the most important detail that many have overlooked is the fact that the day before Sessions announced that this discretion would be placed in the hands of individual U.S. Attorneys, he made sure to stack his bench with Interim U.S. Attorneys whom he supported stating, “I have seen firsthand the impact that these prosecutors have and it is critical to have U.S. Attorneys in place during this time…an unprecedented drug crisis.” Many of these placements are in key, emerging cannabis markets like Nevada, New Jersey, as well as key districts of Washington and California. Do not expect to see a swift hammer of justice sweep through our industry in the coming months; that would be politically unpopular and so unlikely to happen. Keep in mind that Congress chose to extend the defunding of the Justice Department last year with respect to acting against medical cannabis industries. While the impact would still be enormous if there was a nationwide crackdown on adult-use cannabis industries, medical cannabis seems to remain safe. 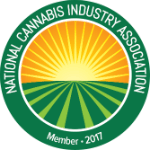 We have come too far together and our momentum is too strong to completely halt the progress of the cannabis industry. There are people in positions of political power who will continue to fight for us, and I have seen firsthand the power of this industry when faced with adversity. Our ability to come together is unlike any other business sector in the world; together we are stronger than individually. Sessions has made his move. Now it’s our turn. What Is Integration in Seed-to-Sale?Cloud Server vs. Local Server: What’s Right for Your Cannabis Software?